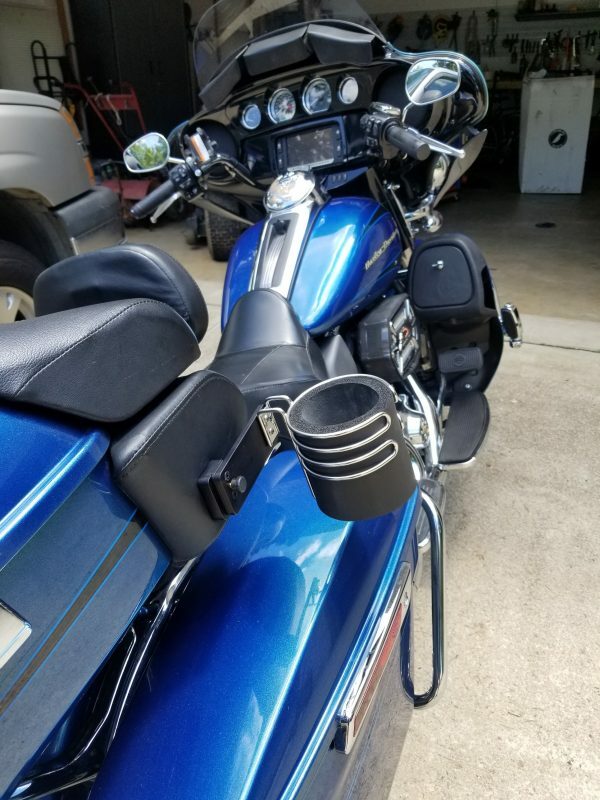 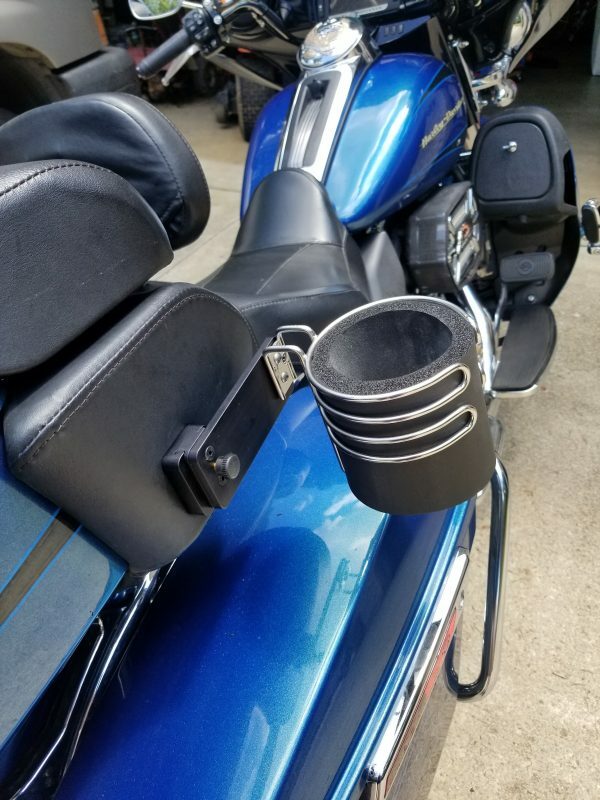 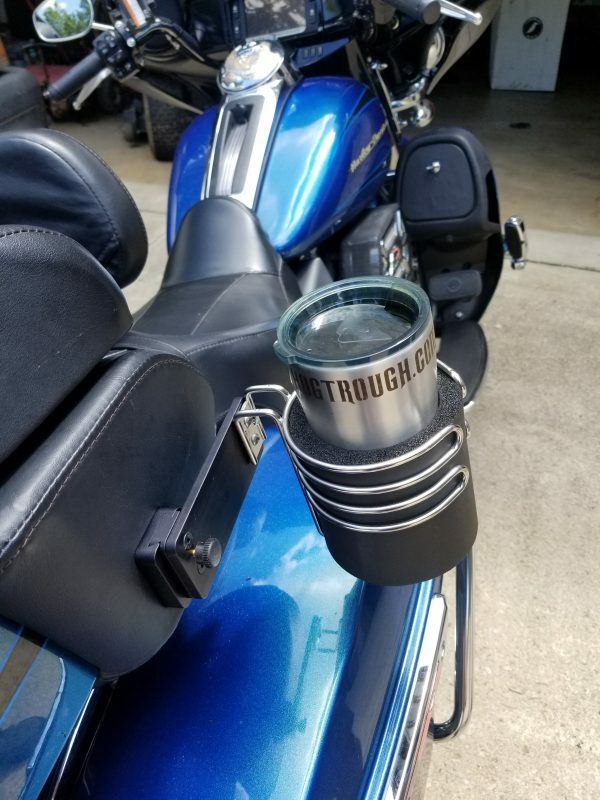 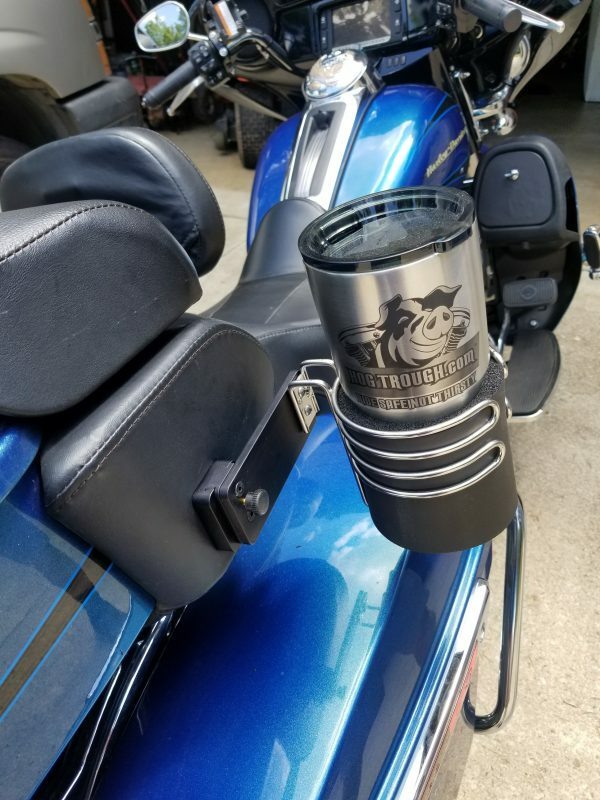 Tour pack mounted removable passenger cup holder. 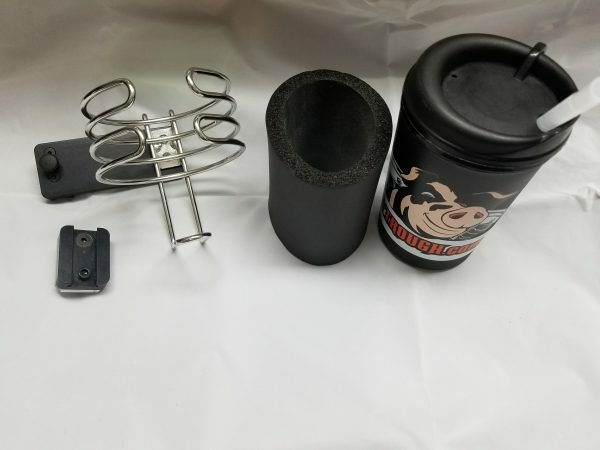 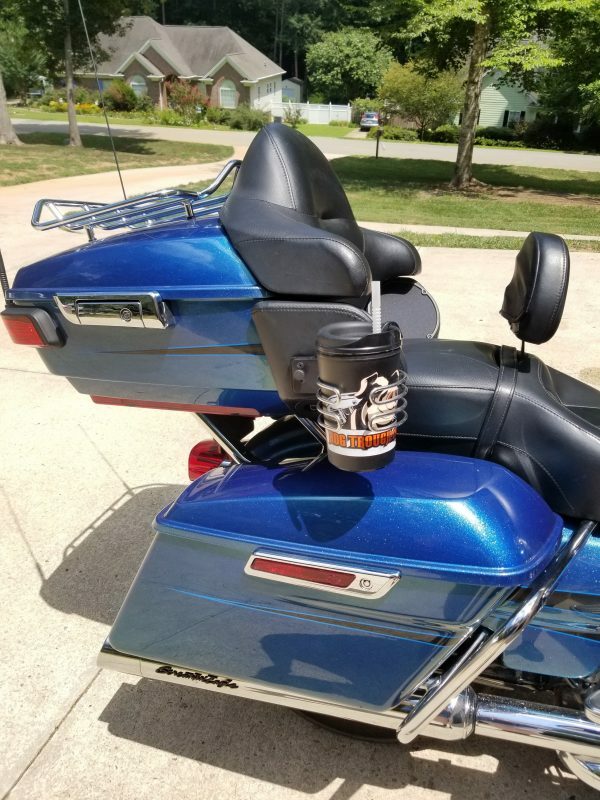 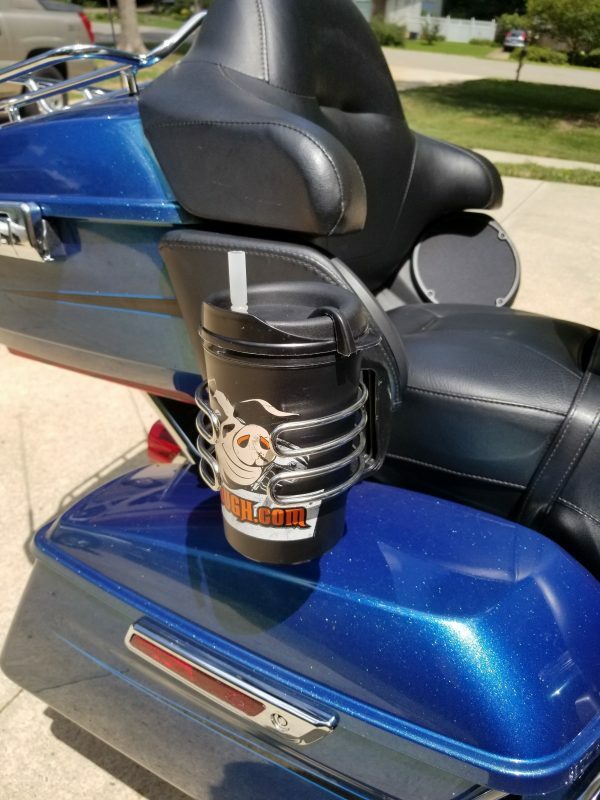 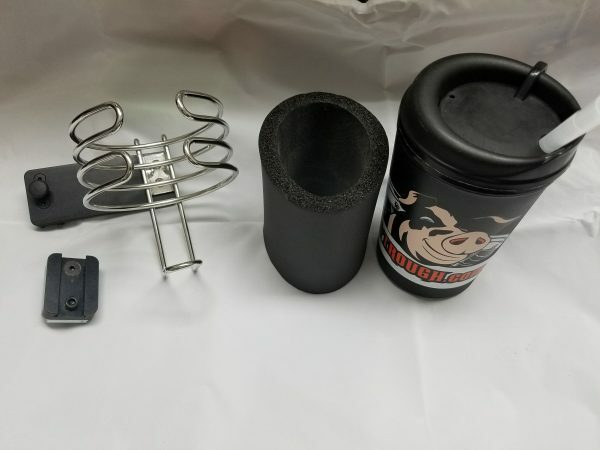 Included is a 20oz mug with straw, foam liner and your choice of electro-polished stainless or black powder-coated basket. 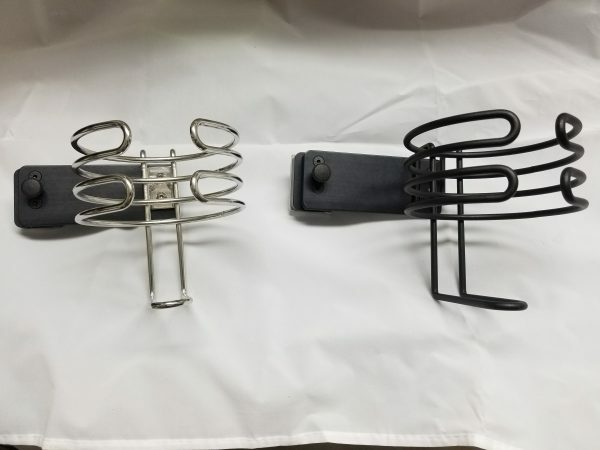 Please note the black basket will be the new style basket as seen in the photo below.